Die gamescom, das weltweit größte Event rund um Computer- und Videospiele, bleibt in Köln. 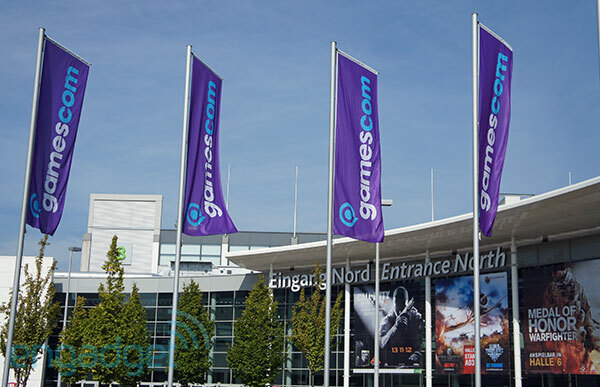 Das gaben heute die Koelnmesse GmbH und der game - Verband der deutschen Games-Branche bekannt. Die beiden Partner einigten sich auf einen neuen Vertrag. McAfee antivirus allows the user to prevent the devices and the data from the viruses, which affect the same. The official page to purchase the McAfee software is mcafee.com/activate, from where you can select the McAfee product best suitable for your device. How to log in McAfee account via email? McAfee log in: McAfee antivirus has been delivering security features across courtiers since past many years. The company has developed a number of technologies including firewall, file encryption, public key infrastructure product lines, and much more. Yet, with such high-end technological advancements, users sometimes stuck with completing McAfee log in. Das freut mich! Ich war zwar noch nie auf der Gamescom aber habe es vielleicht bald mal vor. Kommt mir daher sehr gelegen, da ich recht nah an Köln wohne. Niantic has been on a streak of introducing new and exciting events for Pokemon GO fans to enjoy the title. Recently the special Lotad Day event has ended the developer team at Niantic is set to surprise Pokemon fans on this April Fools day. This April Fools day, players will be able to grab on to an exclusive shiny Pikachu with the hat of Ash Ketchum. One of the most loved Pokemon amongst all the known series is Pikachu, and this April fools celebration will feature Pikachu with the hat of his trainer Ash Ketchum.